Posted in entrees, Italian, recipe, savory by Antonio Tahhan on March 10th, 2009. You can follow any responses to this entry through the RSS 2.0 feed. You can leave a response, or trackback from your own site. Wonderful! I can’t wait for this one! I have a ricotta version somewhere. And congratulations to joie de Vivre for their winning entry! Congratulations to Joie de Vivre! Beautiful gnocchi. I should try this someday. Mmm, gnocchi! This is my favorite thing to make. I also freeze have the batch I make, too. Congrats to Joie de Vivre for winning the contest!!!! 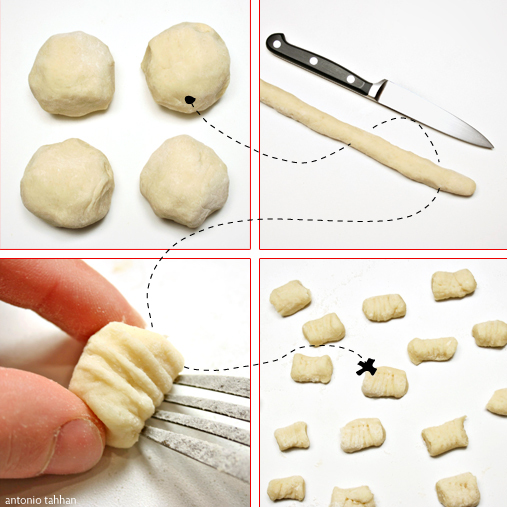 She did a great job :D.
I have never tried to make my own gnocchi… but now I will. Since I’m one of the judges, I will not participate in the event but I will post about it with some links in it, ok? I haven’t ever made gnocchi yet, but I’ve definitely been meaning to… Perhaps this will give me a good excuse to finally try! Can I ask what the baguette in the ingredients is for? I didn’t see it used in the recipe – are you supposed to serve gnocchi with baguette? Along that lines, what’s the standard way to serve gnocchi? With a tomato sauce? Or with something more plain? (Sorry for the many questions; I am not particularly familiar with “real” Italian food). silverkeys – I also wonder what the baguette is for !!! I recently tried making gnocchi for the first at home, as I had eaten lovely gnocchi at restaurants and in Italy and once you have done that trying those packed ones from the supermarket is a shock. But, I was disappointed. I think I used too much flour. Yours sounds wonderful! Thanks for the recipe! I have a question about your gnocchi. Once you freeze and then you want to cook one of the individual packets…..do you let them defrost first or cook immediately from the frozen state. My Mom tried to cook from the frozen state and the fell apart ,,,that’s why I am asking. 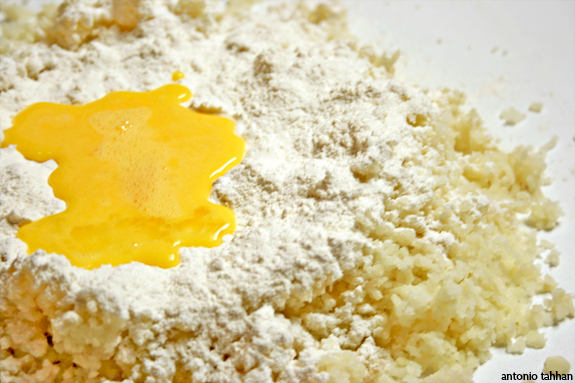 However she does not add egg to her mixture, she says that makes them a little harder. She likes them light and soft…LOL…Anyway what do you think?? I’ve made other handmade pasta but have not yet made gnocchi. I have to give it a shot this month. I personally never freeze gnocchi. 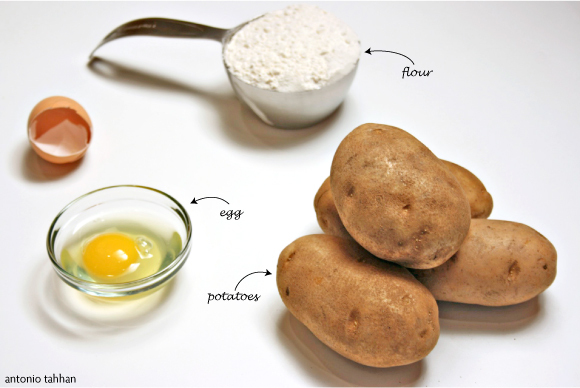 But Tony seems and he uses egg in the mixture (I do not since I like them light and soft). I wanted to add on here I have actually used a good garlic and chive mashed potatoes and mixed them with the flour and some horseradish. Froze them and deep fried them. They get nice and golden brown with an incredible soft inside. I love them all ways but to fry them creates a really nice crust.